We at PSO ensure that we hire only the most competent and qualified individuals for the job through the use of a completely transparent and systematic recruitment process eliminating biases and rewarding talent and skill. 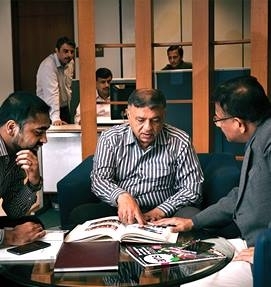 PSO is one of the pioneers of the oil and gas sector of Pakistan, with an extensive network of more than 3500 retail outlets throughout the nation, PSO is one of the highest revenue earning companies in Pakistan and has been recently included in the Forbes 2000 list. PSO believes in hiring the best possible people for the organization and routinely advertises for vacancies when the opportunities arise for motivated, talented individuals seeking greater challenges.